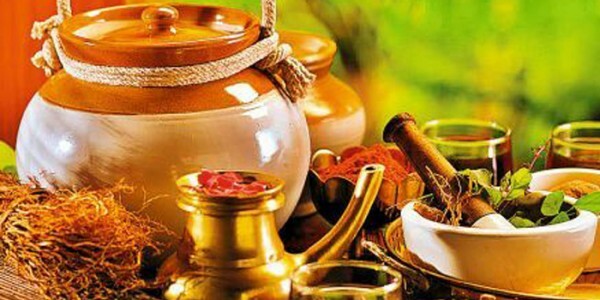 Ayurveda is a natural healing process that has its origins in the Vedic culture of India and it has been quite prevalently utilized in both its native land and all across the world too. Ayurveda is considered as the science of life that offers a body of wisdom, which is designed to help people stay healthy, happy and absolutely vital by realizing and utilizing their inbuilt potential. By providing effective guidelines on ideal daily and seasonal routines, behavior, diet and the proper use of our senses, it reminds us that health is nothing but the balanced and dynamic conglomeration of our environment along with our body, mind, and soul. As per Ayurveda, every individual will be influenced by certain elements more than others and it happens because of their natural constitution, which is categorized in different Doshas: • Vata Doshas: In this, air and space elements dominate • Pitta Doshas: In this, fire element dominates • Kapha Doshas: In this, earth and water elements dominate Ayurveda provides solutions of all Doshas by placing great importance on life-styles of individuals which comprise eating habits and daily routines. We, at Puja Yagya, provide authentic and customized Ayurvedic treatment and medicines to individuals who have any kind of common or chronic health problems or lifestyle-related disorders. We provide solutions for so many diseases as we have Ayurveda experts who are well known for their expertise in the science and art of Ayurveda treatments. Effective solutions provided by Ayurveda can cure inflammatory, digestive, hormonal, autoimmune, etc. problems. Some of the diseases, for which Ayurveda treatments can be highly beneficial, are: • Anxiety or Depression • Asthma • Dementia • Alzheimer’s Diseases • Dysmenorrhea (painful menstruation) • High Blood Pressure Problems • Cholestrol Problems • Premenstrual syndrome (PMS) and cramps • Perimenopausal problems • Parkinson’s disease, etc.